Factually Speaking with Kris Sanchez (@Uberfacts) | Listen Free on Castbox. The podcast where we talk about interesting facts with interesting people. On this episode of Factually Speaking, Kris Sanchez and Briers Newman dive in deep into one of the most famous Pop Stars from the 90's and early 2000's, Britney Spears. Download this episode to hear more! On this episode of Factually Speaking, Kris sits down with actor and trainer Billy Reilich to talk more about fitness and what's right for your body to eat. 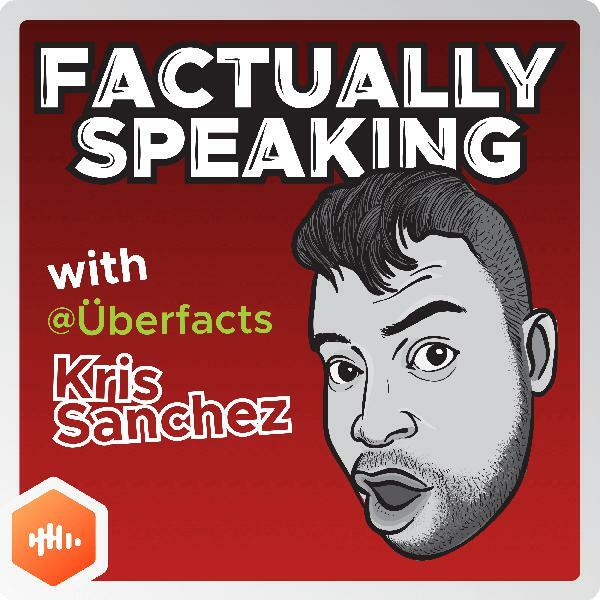 On this episode of Factually Speaking, Kris interviews Rafael Casal from the hit film Blindspotting. He gives details on behind the scenes secrets of the film, and explains how he started in Hollywood. On today's episode of Factually Speaking, Kris and Briers flash back into the '90s era. They talk about the movies that were released in the '90s, and the highly rated movies of the past. Tune in for more! On this episode of Factually Speaking, Kris and Briers take a deeper look into the world of matchmaking with a well-rounded long-time matchmaker, Steve Ward. On this episode of Factually Speaking, Kris and Briers dive into the animation world with Greg Manwaring and learn a little more about what went on and his experiences drawing for Disney. On this episode of Factually Speaking, Kris and Briers take a look at the long and complicated history of Pixar. On this episode of Factually speaking, Kris and Briers discuss unusual facts about sleeping. On this premiere episode of Factually Speaking, Briers and Kris discuss facts about Disney and their theme parks.